If mixed reality technology is truly on the horizon, how will it actually be incorporated into our lives and dominant industries? Let’s look at specific industries that may be the first to incorporate mixed reality into their work flows and beyond. The rise of the internet and online shopping put brick and mortar businesses at risk, ultimately reshaping the retail industry in its entirety. Mixed reality has the potential to affect the industry to a similar extent. Imagine virtual dressing rooms that avoid the claustrophobic and time-consuming process of trying on clothes. An augmented reality app will enable you to visualize any item of clothing or outfit. 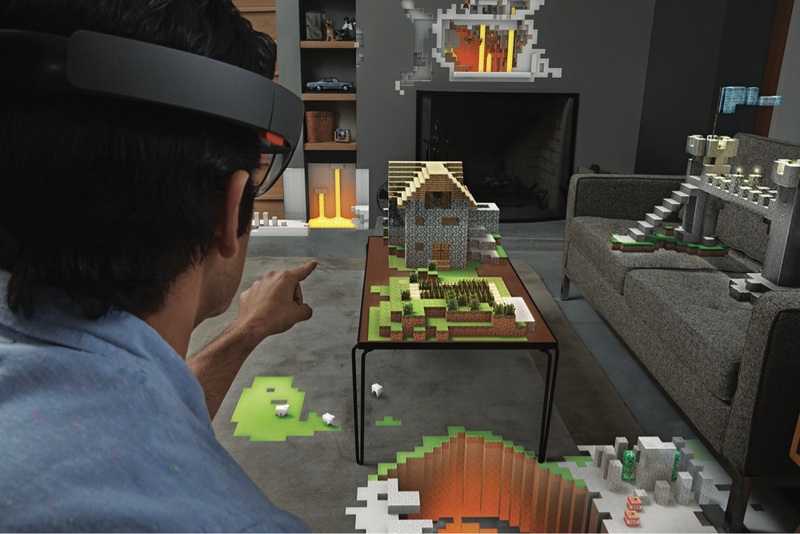 Put on your Hololens, look into a mirror, and voilà, any outfit you desire is projected onto your reality. You can even view yourself in 3D to see how an outfit looks on you from any angle. In the comfort of your own home, you would have access to every fashion and trend, and enjoy a hassle-free shopping experience. Clothing is not the only product that can be experienced through mixed reality. With a headset like Hololens you could drag an item of furniture from an online store into your living room, and move it around to see where it fits best. Mixed reality could transform online shopping so that the experience would no longer necessitate a leap of faith–every product could be tested and visualized in a real space before purchase. To gain a sense of the mixed reality shopping experience check out what Volvo is working on. Amazingly, some architecture firms (see IrisVR) are already utilizing virtual reality in order to give their customers the experience of architectural designs from the inside. Mixed reality could even enhance the experience of buying real estate, allowing developers to demonstrate site potential to customers by projecting future buildings and real objects in a space. The manufacturing industry is an ever-evolving one. Do we ever not see headlines about manufacturing in the news? As much as manufacturing is full of innovations, mixed reality can bring even more novelty and efficiency into the work process. Mixed reality solutions across the entire product development process could enable engineers and designers to iterate together in real time. Bringing in new visualization, design and production tools, mixed reality could mean faster prototyping, more confident decision making, and more efficient cooperation between teams. Technology has already become a catalyst for change in education. Classrooms are now often equipped with laptops and tablets that give students access to a plethora of resources. Major universities like Stanford and Yale offer online lectures that are accessible to anyone in the world. One of the first projected use cases for virtual reality is in fact education. Developers are excited about the idea of setting up virtual classrooms where students from all over the world can interact with professors in an immersive digital environment. Mixed reality would take this virtual classroom to the next step, bringing the classroom into the home of each individual user. Hololens’ holoportation function could make online tutoring feel like a genuine in-person experience. And educational materials would become immersive too: imagine flat illustrations transformed into interactive 3D models that students can explore, alter, and examine from every angle. Whether it be retail, architecture or education, mixed reality could change the real world that we experience by adding layers of creativity and information on top of our everyday reality. For a comprehensive breakdown of the mixed reality industry—including an introduction to VR and AR—check out part one of this series: Is it finally time to invest in mixed reality?